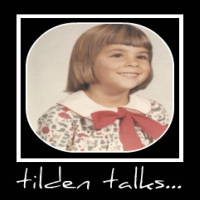 tilden talks...: Steam at Edaville! For the first time in 5 years, the #21 steam engine will run at Edaville! It has been converted back to coal and will be chugging around the tracks this Christmas season. Last night, they took her out for a few runs around and hearing the whistle made me tear up just a little. Stay tuned for pictures and video! Oldest was invited to go last night with a friend. He couldn't go because of Basketball practice, but I have to say he was bummed he missed it. I'm hoping we can make it one of these nights for the light show before it gets too cold. Only A Week 'Til My Next Day Off!